For the weekend a little bit of spooky story. Some dark magic that will put you in a different space we are offering you for today. No one would be indifferent to a person that is bad to others, that wants to hurt them. In this game we are not talking about person, but a shadow that has obsessed a house. Kayla, the witch Rose and Gabriel who is a detective for paranormal things, arrive in the evil house of Mr.Alan. He with his family for half an year is removed from their property because a mysterious shadow has obsessed him all over. Fear is everywhere. 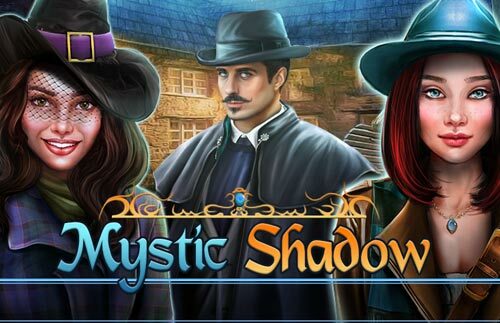 Kayla, Rose and Gabriel are here to contact with the evil shadows. It is about time to return back the peace in this house. Imagine you are in a similar situation and someone tries to take the peace from your place? Imagine you don't want to go home and look for solution. If our home is the place that we want the most, because we feel comfortable, the feeling of having the fear while at home is unbearable.